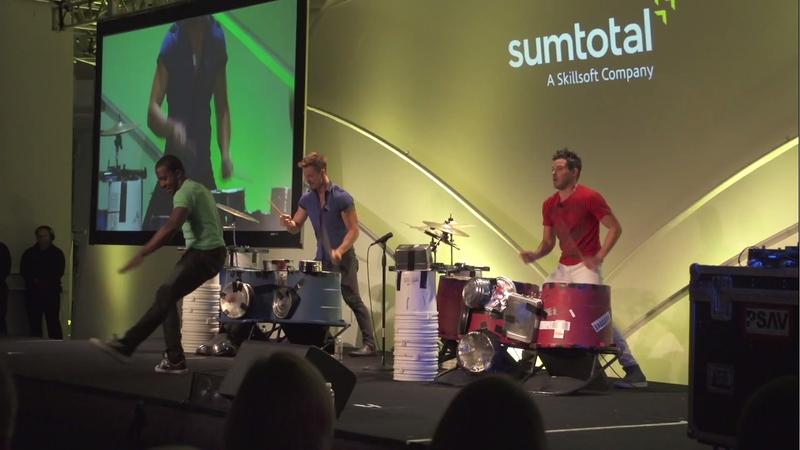 Last week, our customers joined us in Miami Beach, Fla. for the SumTotal TotalConnection 2014 conference. This year’s conference had our highest attendance to date with more opportunities to network and learn than ever before! Not only did TotalConnection 2014 provide great content and insights on current usage and the future of SumTotal and Skillsoft, the event was jam-packed with the exci tement and fun of a true Miami experience. Where else would you see synchronized swimmers, wake up to a wild percussion performance, and dip your toes in the ocean? Don’t just take our word for it – see what SumTotal customers said (and saw, via some great snapshots) in our #SumTotalTC14 Twitter recap and on Facebook. Special thanks to our fantastic speakers who shared valuable experiences and helped take the conference sessions to a new level. SumTotal and Skillsoft executives provided great information on the future of our products and the organization. Peter Cappelli shared insights on millenials and the future of the workforce. Author Dave Barry made us all laugh hysterically as we reflected on our work through everyday (and some uncommon) scenarios. The Fistful of Talent team challenged us to consider work-life balance, what that means, and where work/life intersect. We all walked away with great ideas and more to reflect on. The new ideas didn’t stop there. This year’s conference featured a wide array of content from our very own customers showcasing their innovative uses of the product, best practices, and tips to make the best of SumTotal solutions. Presentations from the breakout sessions are available on our online customer community, SumTotal Connect. The fun and excitement would not have been possible without our event sponsors. If you missed them in our Partner Expo, connect with them online to learn how their services can further enhance your existing SumTotal solutions. If you weren’t able to join us (or if you just want to relive the fun), here’s a video recap of last week’s festivities. Enjoy! It’s the final countdown! In less than two weeks TotalConnection descends upon the Eden Roc Hotel in Miami Beach. At TotalConnection (and in Miami in general!) you are never in danger of running out of things to do. This year’s agenda is packed full of high-quality sessions, fantastic speakers, ample networking opportunities, and, of course, over-the-top customer appreciation events. Pack your sunscreen and get ready for some sunshine! We’re kicking off TotalConnection in style with a Magic City reception inspired by the glamour of the late 1950’s Rat Pack-era. The evening will be filled with amazing music, delicious food and some Cuban-themed entertainment and surprises! The proof is in the pudding, right? Hearing customer case studies is one of the most fulfilling parts of attending any user conference. These are in no short supply! Customers are excited to share solutions to their business challenges and how they’re using SumTotal technologies to achieve their goals. It will be difficult for attendees to choose which session to attend; but, don’t worry, everyone will get the sessions slides after the event in our customer community, SumTotal Connect. If you haven’t signed up for SumTotal Connect, stop reading and sign up now! Seeking inspiration and vision? Trying to find the meaning in the world? Looking for a good laugh? Our two keynote speakers offer all of the above! Peter Cappelli, Wharton professor and industry expert, will examine the changes in employment relations in the U.S. and their implications. During the keynote, he will discuss his book, Talent in an Age of Uncertainty, which outlines the strategies that employers should consider in developing and managing talent. Dave Barry, humorist and best-selling author, will be giving his thoughts, insights and unique take on today’s workforce, family and everyday life. If you had a chance to watch our recent #HRHangout series, you know exactly who I’m talking about. The always funny and very insightful members of the Fistful of Talent crew – Kris Dunn, Steve Boese, Laurie Ruettimann, and Tim Sackett – are joining us live and in person for a panel discussion on the five faces (or heroes) you need in your HR department. You are guaranteed to walk away with some great career advice and a few laughs. Disclaimer, I am biased on this one, but for good reason: Social networking extends and enhances your TotalConnection experience. Throughout the event, you’ll have chance to live tweet sessions, participate in our virtual on-site social games, connect with attendees, meet our Secret Hostess Veronica, and compete to be the social leader of #SumTotalTC14. If you’re new to social, visit the TC clubhouse during the event and someone will show you how to get involved! Let’s be honest, conferences can be tiring. Long days filled with great sessions, conversations and events is a big shift from the typical 9:00-5:00 workdays. So for all the coffee enthusiasts attending TotalConnection, rest assured knowing there’s a delicious cup of Cuban Coffee ready and waiting to give you the extra boost of energy you need. There’s no better place to connect with SumTotal partners than TotalConnection. Attendees can enjoy light food and refreshments while learning more about our partners newest product innovations. And, be sure to stop by the Skillsoft booth to meet the team and get the details on Skillsoft’s acquisition of SumTotal! If you have questions or have current challenges that need our attention, be sure to schedule some time with the SumTotal SMEs during TotalConnection. They will be on site all week to answer questions, provide insights, offer strategy advice and share ways to enhance your applications. Be sure to schedule your one-on-one time before it runs out! You can’t be in the HR business and not understand the importance of recognizing a job well done! We are thrilled to celebrate our customers’ success over the past year during the SumTotal Innovation Awards. Join us as we celebrate your peers in Best Overall Use of Product, Best Launch to Organization, and Best Business solution! SumTotal Connect – Get Involved! The networking opportunities and relationships you build at TotalConnection don’t end when the conference is over. SumTotal Connect, our online customer community, is your one-stop resource center for information about SumTotal products and services. If you’re already involved in the community, stop by the TC clubhouse to meet up with other members! If you’re not involved, get connected! Kate Merrick, SumTotal’s dedicated customer community manager, will be there all week to answer questions and help you get started! What are you looking forward to seeing and experiencing at TotalConnection this year? Leave a comment below! See you in Miami! When I headed to TotalConnection 2013, I didn’t know what to expect. Sure, I’d attended many conferences in my career, but this marked my first vendor-hosted user conference, and boy, what an amazing difference! Profession-focused conferences certainly provide the opportunity to gather with folks who have similar interests and goals, but user conferences, like TotalConnection, take it to a whole other level. Perhaps I’m biased, as SumTotal’s customer communications manager, but I think it’s our customers that make this event standout. Customer Presentations: I got to hear firsthand from our customers of the creative ways they’re addressing their HR and human capital management (HCM) challenges, and specifically how they’re using our technologies to achieve their goals. From keynotes from Praxair and Howden to breakout sessions from Lowe’s and City of Boise, it was great to see the excitement customers felt in sharing their stories and the engagement from the audience in learning new ideas. This year’s agenda is shaping up to be equally, if not more, informative and entertaining. Customer Videos: There’s nothing I like better than having an opportunity to share our customers’ successes, and I’m grateful that many customers feel the same. A handful of them, including McAfee, Good Samaritan Society and Tokyo Electron, sat down with me in front of a camera to talk about their business challenges and how they’ve overcome them. View other customer videos. Customer Innovation Awards: You can’t be in the HR business and not understand the importance of recognizing people for a job well done. That’s the idea behind SumTotal’s Innovation Awards. Last year’s 20 finalists and six winners, including Duke Energy and Univar, demonstrated how to create outstanding value with HR programs and technologies. I can’t wait to see the variety of submissions we get this year. Submit your application before August 18. Customer Appreciation Event: Who doesn’t want to unwind a bit after several information-packed days? Last year we celebrated our final evening at BB Kings – the photos say it all. This year, prepare for an awesome beachside “Cirque du SumTotal” celebration. Circus/street performance acts with the smell and sound of the ocean? I can’t wait! Customer Connections: I think you’ll be hard pressed to find an event more aptly named than TotalConnection, because that was the real value I took away. It offers fantastic opportunities to connect with peers, customers, partners and SumTotal executives and experts. In a world in which relationships are increasingly built virtually by phone and the Internet, there’s something to be said about having a chance to put a face to the name. I had the pleasure of doing just that with dozens of customers last year. I’m looking forward to reconnecting with them and making even more connections this October. I hope to see you in Miami! Do you have more to add? Tweet me (@KimJamerson) or @SumTotalSystems using the #SumTotalTC14 hashtag or leave a comment below! Last week I had the refreshing opportunity to spend three days chatting with attendees, thought leaders and colleagues about training development trends and challenges at ASTD (now ATD!) in Washington, D.C. If you read my last blog post, you’ve heard me rave about how life changing it will be to attend TotalConnection 2014. But do you find yourself wondering how best to pitch the idea to your boss? The warm tropical sun heats up the sand slinking between my toes. A light breeze passes by as I sip a fruity drink and watch the waves crashing with the tide. It’s the most beautiful day I’ve ever seen – and it’s happening in just a few short months. With all the cold and snowstorms, it’s hard to imagine that this dream of mine will soon be reality. When I recently joined SumTotal and was invited to be part of TotalConnection, I jumped at the chance to be surrounded by amazing people amongst one of the most gorgeous landscapes in North America. You spoke, we listened. Great Changes Coming to TotalConnection 2014. 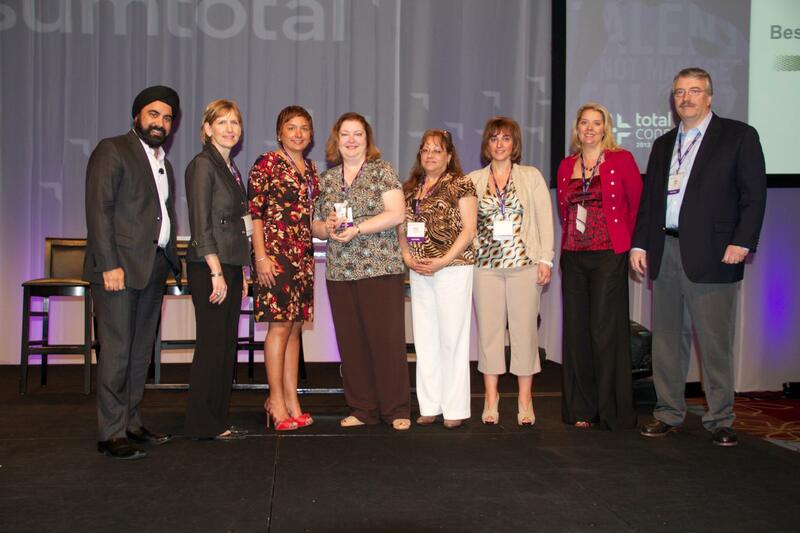 CALLING ALL SUMTOTAL CUSTOMERS & PARTNERS — Have you registered for TotalConnection 2014 yet? This fast-paced, three day conference will help you realize the full potential of your software, data and enterprise solutions. 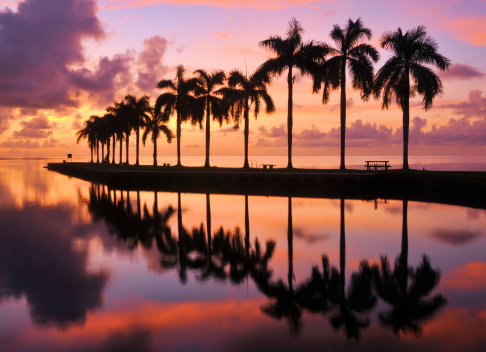 Learn from the experts, share innovative best practices and network with your peers in the vibrant, cosmopolitan city of Miami. If you’re serious about your business, you can’t afford to miss this real world, results-oriented conference.